Fancy something special, something different? 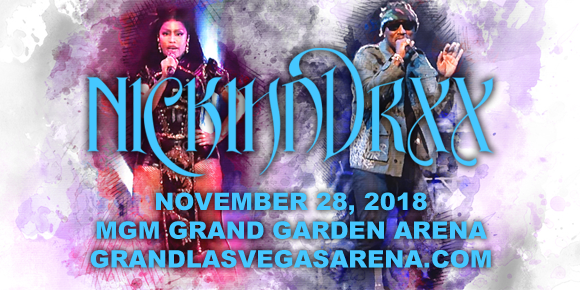 Treat yourself to a night of unbelievable entertainment like you've never seen before as Nickihndrxx Tour: Nicki Minaj & Future comes to MGM Grand Garden Arena on Saturday 24th November 2018!!! It's going to be a phenomenal show! Tickets available now! One of the world's best-selling music artists, American rapper, singer, songwriter, model, and actress Nicki Minaj has sold 20 million singles as a lead artist, 60 million singles as a featured artist and over five million albums worldwide to date. In the late 2000s, Minaj released several mixtapes, Playtime Is Over (2007), Sucka Free (2008), and Beam Me Up Scotty (2009), which became popular in the hip hop community and led to her signing a record deal with Young Money Entertainment in 2009. The following year, she released her debut studio album, Pink Friday, which peaked at number one on the US Billboard 200 and was eventually certified triple platinum by the Recording Industry Association of America (RIAA). A highly-awarded artist, in addition to ten Grammy Award nominations, Minaj has acquired six American Music Awards, eleven BET Awards, three MTV Video Music Awards, four Billboard Music Awards and a Billboard Women in Music Rising Star Award throughout her career. Her fourth studio album, Queen, was released in 2018.